Will DJI support Galileo (GNSS) ? According to guys from nolimitdronez, it&apos;s possible with software modification. NLD now offers additional navigation satellites by making your drones GPS receiver capable of understanding the signals from the Galileo satellites system. Matioupi has proved the theory with a patch to the GO 4 App, awesome job, right there! The end result = LOTS of satellites for superior stability and precision. While testing this mod, the drone could use 28 satellites! 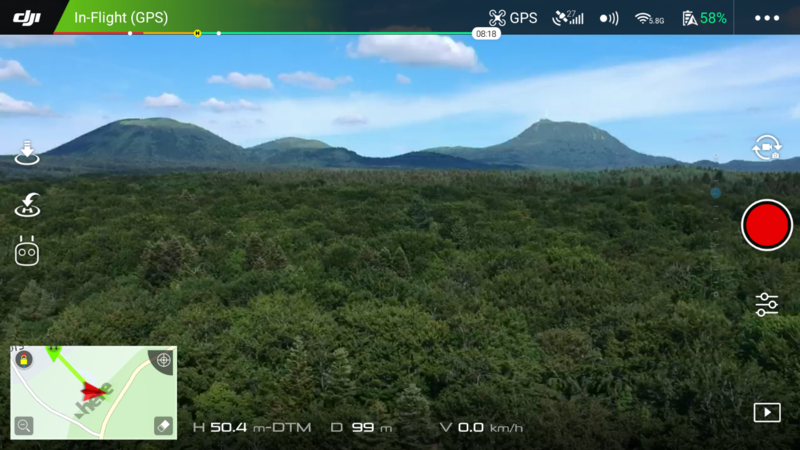 Great news and looking forward to it being implemented in DJI GO 4! Thank you for sharing it with us. This is amazing if it&apos;ll comes to life! "Galileo started offering Early Operational Capability (EOC) on 15 December 2016, providing initial services with a weak signal, and is expected to reach Full Operational Capability (FOC) in 2019. The complete 30-satellite Galileo system (24 operational and 6 active spares) is expected by 2020." I don’t see how modifying the go4 app would ever allow the drone to utilize this? The gps unit is on the drone. Hard to say, we have to wait for release. Galileo isnt operational yet (2019) and not full capacity until 2020. Possibly substantially later if the EU use it as a brexit blackmail stick with the UK (who own and run most of their ground stations and control facilities). By which time you&apos;ll all be flying later model drones anyway. 4 more are already in the sky since last december and still under commisionning phase (which was planned to last around 6 month) so there should soon be 18 available sats. 4 more will be launched July 25th. Yes I have a patch/method that involves flashing a custom FC + an app side mod that enables Galileo on the birds. Should be public soon. there is a channel from app to bird FC, and further forwared to bird GNSS receiver to upload agnss data (assisted gnss, i.e. ephemerids downloaded from the internet used to speed up fixes). Excellent work, thank you for sharing it with us. I know you are a crack in these things. Can the patch be applied to any version of GO 4, or is it a modified GO 4 all together? Well if you bother to read your own references you&apos;ll agree that full operational capacity isnt expected until 2020 and that could be delayed. Those very references state that. As far as I know, only the backup control center (indeed a large and critical facility) was supposed to be in London and runned by U.K. Work to relocated it in Spain has already started. Reason why some maybe operated from the UK is because the UK owns a lot of the technology that goes in to these sats. If the UK doesn&apos;t get access to Galileo then there is a good chance the project will get cancelled due to funding. LOL, is that what you read in the Sun ? Fact. Still i couldn&apos;t care less either way. Let the rest of the members fund the shortfall in funding and try and complete it. Well either way - we should have a surfeit of GPS sats in the future as they are an integral part of everything that moves on the ground and in the air. The UK may well build their own system if things go the wrong way with this Brexit shenanigans. I asked the question if you can also use Galileo with the DJI Mavic Platinum. A user has sent me a reference to the DJI Forum. Can you tell me the current status of your patch for the GO 4 app and possibly describe how to instal it. Excuse my english, I wrote this with a translation program. Can you answer in German, if not, then I translate it myself.